Today I wanted to share my nail polish haul that I went on. I have been seeing posts on Instagram about awesome nail polish deals and I really got the best deals! At Big Lots they had Revlon Polishes 2 in a package for $2. At Sally’s Beauty Supplies they are currently having a 50% off already red tagged clearance items. Complete over haul on Orly, China Glaze, Finger Paints, and Stripe Rite Polishes. Excited to have my next giveaway soon! Go quick they’re running out fast! 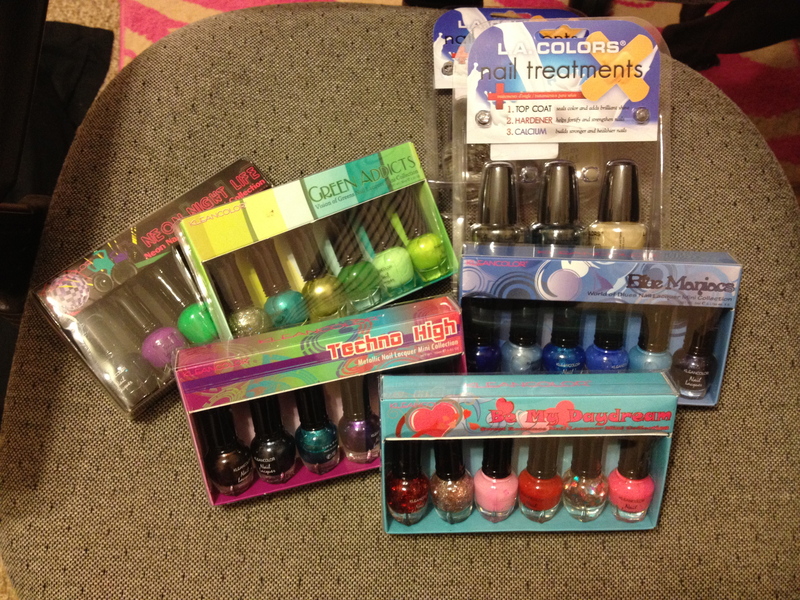 I also made my rounds to Ross and found these awesome Kleancolor minis and LA Colors Nail treatments all for $2.99 each!